Snake venom and Bee Sting to Improve Immunity ! Most of the people think that snake venom and Bee Sting contain poison which can harm humans to a great extent. In our last article we put some light on the fact that even cobra venom, which is considered as a neurotoxic poison of highest grade is non-lethal if taken orally. Today several medicines are being made using snake venom, scorpion venom and bee sting. A number of people are known around the world who take small dosage of these venom to create an immunity against them. 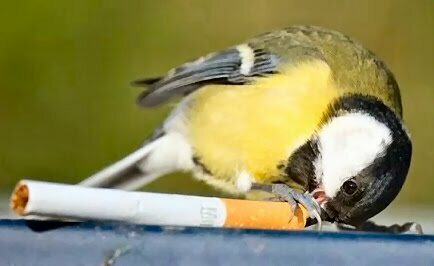 But does drinking or injecting small doses of these venom really improve overall immunity or just immunity against that particular venom. Mithridatism is an old practice used before 100BC in which a person ingests poison in small amounts to build immunity against it. It name originated from King Mithridates VI, who practiced this phenomena to protect himself from poison. Similarly in India around 300BC King Chandragupta Maurya was made immune to poison by his chief advisor Chanakya, as he was fearful that enemies may try to poison him. This concept was known as "Vish-Purush" (Poison Man) in India. This phenomena is widely used in some Novels, TV series and Movies, to make a hero or villain immune to poison. Before anybody start practicing it on himself, he/she must know that this technique is not applicable on all types of poison. Some poison can accumulate in body and then harm you when sufficient quantity has been accumulated. However our liver can create certain enzymes to digest a poison when small doses are ingested and ultimately full immunity will be developed, but that immunity won't work on other types of poison. But when we talk about Snake venom and bee sting, the case is different. At Stanford University School of Medicine researcher's gave non lethal doses of honey-bee sting venom to mice, which caused an allergic reaction and produced some antibodies in their blood. The antibodies protected the mice when they were again given a lethal dose of same venom . Human beings have gone through a long process of evolution, and most probably we also have capability to develop immunity by using this technique. A report was published on CNN in Dec 2016, where a man named Steve Ludwin was injecting snake venom in his body for past 30 years with his own belief of improving immunity. Today he is more than 50, but looks like 35. Researchers at University of Copenhagen are using his blood thrice a year to develop antivenom  , just like horses are used to develop antivenom by injecting venom in their blood and then extracting antibodies from their blood. Tim Friede, an American former factory worker claimed that he has developed immunity to the deadliest snakes cobra and black mamba. 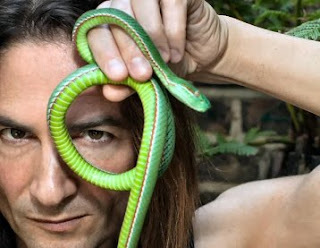 According to him he was bitten by snakes around 100 times and it acted as an immunization to develop immunity against any type of snake venom. Mr Friede calls it "venom immunotherapy". All of the above examples prove that immunity can be developed against venom by injecting controlled doses, but it may not happen with everybody. Every year more than 125,000 people die due to snake bites and more than 300,000 get some part of their body surgically removed to save themselves from death. So never try such experiments on yourself. Let researchers do their best to develop some technique to save these lives. 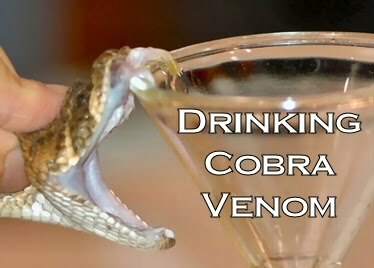 Drinking Cobra Venom : Deadly or Not ! If you are asked to drink cobra venom, then most probably you will not. But do you know that some people really drink it. Cobra is one of the snake species known for its deadliest neurotoxic poison. One bite of cobra have enough venom to kill 20 men or even an elephant. In-spite of such facts some people survived after drinking cobra venom. Is it really possible, or it is just a magic trick where audience are made to believe that the person is drinking venom, while he/she just sips a energy drink. The answer to this question is going to surprise a lot of people. My curiosity to get an answer to this question arise when i watched an Indian Guru ingesting the cobra venom. I was sure that he was not doing any sort of cheating. He even told some benefits of the cobra venom. Note: Never try to drink any kind of venom after reading this article as sometimes it can cause threat to your life. When i researched about the drinking of cobra venom, i came across some very interesting facts. These facts are listed here. One liter of snake venom costs more than $200,000 . So King Cobra Venom will definitely cost more than that. Cobra Venom is used is used to made medicines and beauty products. Pain killers made using cobra venom are 20 times more effective than any other pain killer. Some venom are even used in cancer treatment. Pain killers developed from cobra venom have no side effect, which is some thing very unique. Cobra Venom contain a protein named Ohanin, which is a small protein made up of 107 amino acids. This protein is unique and not found in any other snake family. It is responsible for medicinal properties of cobra venom. Cobra venom is not poison. 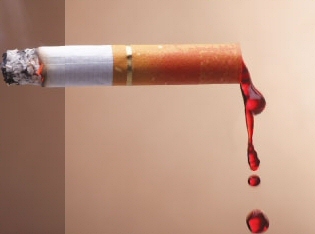 Poison are such type of things which can kill you when ingested. Cobra Venom is a protein, which contain some neurotransmitters, that can harm you only if it enters your blood stream and then attack your nervous system to paralyze you to death. If you ingest cobra venom then the proteins present in it will be broken down by saliva and acids in the stomach. Drinking cobra venom can harm you only if you have some ulcers in your stomach or a cut in your mouth as it will give the venom the way to enter blood stream. Cobra snake is considered as a holy creature in India as lord Shiva wears it as garland. According to Hindu mythology, the consciousness level of King Cobra is very high, and no other animal can attain that much consciousness. Cobra is the only snake which builds nest, and keep their offspring in it. Cobra is considered as a shy snake and don't harm humans unless it feels danger. Those who practice drinking venom do it either with a belief to improve their immunity or to be known as superhero. They start it by drinking very mild amounts and then increasing the amount over a period of months and years after analyzing its effect on body. At the end of this article, we wound again suggest you to never try it. This article is only for information purpose, so that you know the science behind drinking cobra venom. One more thing told in this article is that snake venom are source of some of the best medicines and researches are still going on to find cure for some deadliest diseases by using them. Everybody know that being humorous is a healthy habit and good for your heart. It can even make others happy and improve their health too. It is because humor releases such chemicals in our body which are good for health. But can humorous behavior make you successful as well ? When we researched this fact, we found some interesting information that is worth reading. It will definitely encourage you to being a little bit more humorous. Is it necessary to be humorous at work ? It is not compulsory, but it can create a better work environment for you. A little humor help you in being open with other colleagues. But too much humor can sometimes be unpleasant to others, so keep that in mind. The humor should should not target a specific person, as it can act against you. Don't be too loud. Loud humor can disturb those who are doing their own work. So keep your tone low, especially when you are talking to a single person. Vulgar humor at work should be strictly avoided, however most of the people don't do it. Accidental vulgar humor with colleagues of opposite gender can be considered as violation of behavioral conduct. Don't make humor of your boss or manager, especially in front of those who can convey it to them. If you are new then you should indulge in humor only with your colleagues and subordinates. Being humorous with boss can sometimes create a negative impact. What are benefits of humor at work ? It creates a better communication and chances of communication gap is reduced. It reduces the work related stress. Humor is a good tension breaker at work. Others will enjoy working with you, as they will take you as a human instead of a robot just doing his work. The humor brings the real person out of a worker. The nature of humor helps others understand that person better. 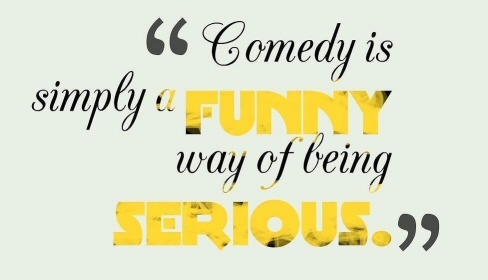 Humor builds trust and relationship among employees which is critical for success. 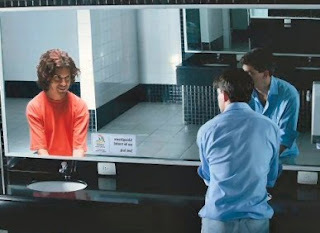 Humor and fun at workplace encourages people to come to work. 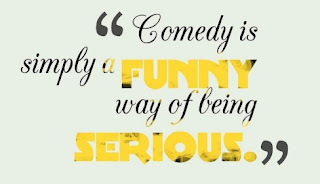 Being humorous is a part of good leadership, as it helps you in getting mixed with your team and get the work done in a better way. When you do some humor with your colleagues, then it creates a better communication. It even encourage people to share their work among a team. A humorous boss is more approachable by subordinates, which make a better work culture and employees don't hesitate in sharing their innovative ideas. But being too much humorous can sometimes do the opposite, so maintaining a balance between humor and strictness is necessary for a leader. A study done by Bell Leadership Institute found that employees want their leader to be humorous along with strong work ethic. But still a number of people don't like to laugh at work, as it can make them look less sincere towards work. In such case you need to relax and take your work a bit less seriously. Being too much serious during office hours can also cause psychological problems, which will hamper your performance. 91% executive believe that humor is important for career development. 84% believe that humorous people do better work. Do you know that some companies attract employees by advertising their work culture full of fun and humor. Every person counts in a business, especially if he/she is a leader. Humor and fun increases productivity. Why Being humorous can make you successful ? It is because people like to work with such people as they feel comfortable with them. Humor allows them to open up. Humorous environment increases productivity of any business, as people enjoy working is such environment. Work no more remains a hassle, while working with someone humorous. One fact that most of us ignore is that humorous people and usually more intelligent than others with increases their chances of success. All of us know that Health Insurance can save us financially, when we need it the most. But does health insurance also affect our health ? After-all the main motive of health insurance should be insuring the health of a person, not the money. When betterhealthfacts.com tried to know if there is any effect of health insurance of overall well being of the insured person or family, some interesting facts were revealed. We were not the only one trying to connect health insurance with health of the insured, but a number of researchers were conducting studies to know the impact. 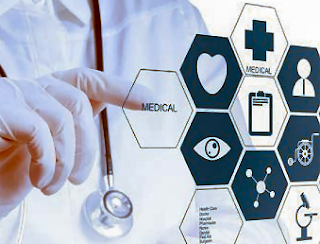 As we came across a number of studies, one thing was sure that health insurance affects the health and lifespan of insured person in a positive way. We don't know the magnitude of effect, but life expectancy is increased and improved health is the basic reason behind that. 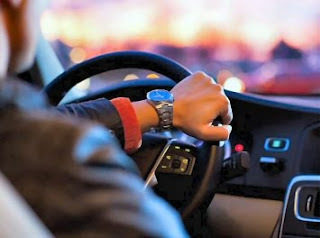 Those studies also take into account other factors that affect health and lifespan, such as obesity, smoking, alcohol abuse, gun violence, environmental hazards and occupational safety, but still the positive impact of health insurance was clearly visible. A study done by Harvard School of Public Health found a significant decrease in all-cause mortality and increases life expectancy. Institute of Medicine conducted a study in 2002 and estimated that death rate (mortality) of uninsured is 25% more that insured people of similar group. According to that estimate 18000 excess deaths occurred per year during those years as 40 million Americans lacked health insurance at that time. Medicaid expanded its insurance coverage for pregnant women during 1980s and 90s. It resulted in decreased infant and child mortality. How does Health Insurance make people healthy ? It gives people an emotional support and they know that they won't be under debt if something goes wrong with their health. This emotional support saves them from any psychological disorders. Routine medical checkup and screenings that come with Health Insurance make people aware about their increasing weight and blood pressure which may result in diseases like obesity, diabetes and hypertension. People take their health seriously and timely react to keep themselves healthy. Routine medical checkup and screenings also help is diagnosing some diseases at early stages, where they can be treated easily and chances of early death are greatly reduced. Uninsured people comparatively don't get their disease timely diagnosed, which results in more expenditure and financial dis-balance of whole family and chances of psychological disorders of other family members. During such times other family members also don't take good care of their health. All these factors affect the health of whole family, which starts from a single person. While studying the effect of health insurance on health of a person, we found that most studies don't take into account the health of others who are closely related to an insured person. Its obvious that health insurance affects health of an insured person in positive way, but it also positively affects the health of other family members. If your mother or father are in good health, then you can take better care of your own health as well. And if something goes wrong with their health, then your workout schedule and diet pattern gets disturbed and thus affects the whole family's health. When we ask about health of an insured person then most expected answer is "good" while it is not so in case of an uninsured person. Several factors work behind as mentioned earlier. 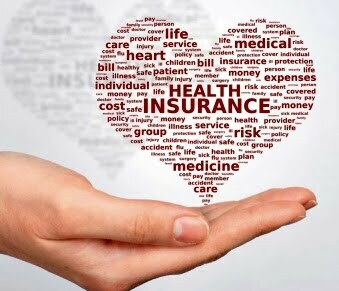 Getting Health Insurance also means that you are aware about your health and take steps to keep it in good state. So investing in health insurance policy not only saves tax and financial stability but also saves your health, increases your lifespan and also improves health of your whole family. Have you ever wondered about the circumcised foreskins, if they use to throw them in garbage bins or they use it somewhere ? The answer to this serious question might surprise a number of people. Before telling you the answer, let me tell you that each foreskin is worth thousands of dollars in market. Several religions and communities make it compulsory for boys to get their foreskin circumcised. A number of hospital and surgeons do these minor operations to remove the foreskin. They collect these foreskins and sell them to some research laboratories and some private organisations, as these foreskins have a lot of value. Some high-end skin cream manufactures use foreskins. Some skin creams contain fibroblasts, which is compound grown on foreskins and harvested from it. Same foreskin can used for many years to harvest fibroblasts from it. Fibroblasts produce Collagen, which is a protein that can hold connective tissue together and hence helps in maintaining smooth and youthful skin. Skin grafts are another major usage of foreskins. Burn victims are treated with these foreskins as a new skin to replace old burned skin. Baby foreskins suits best in this usage as their chances of rejection by the recipients immune system are very less. Cosmetic Testing is also done on foreskins. Instead of using a real human subject or a lab-rat to test the newly developed cosmetics, foreskins often act as a better subject to test upon. Thus it saves humans and rodents from any possible side-effect on skin. Are such usage good or bad ? Different people may have different views on that. 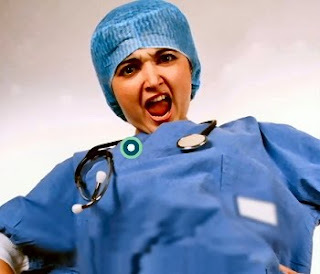 Those who feel it right due to religious beliefs, will find these uses beneficial for the society, but they might also feel themselves cheated as doctors usually don't reveal such facts to those who visit them for circumcision. 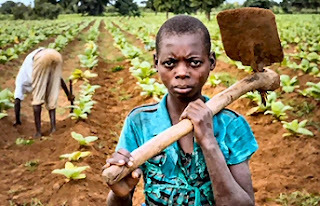 Those who are already against circumcision and take it as mutilation of human body, find something good being done with it, but they also feel that doctors and religious clerics might be earning a lot by prescribing such mutilation and endangering the lives of kids. We are nobody to decide the good or bad unless the parents of such kids don't know the complete truth of circumcision. The motive of this article is not to hurt religious sentiments of people, but to tell the truth. Most of the innocent public don't know how some people are earning a lot through their baby's skin. The fear of getting old with a number of diseases / health problems is one of the worst fears. Everybody want a long life with a healthy body. However a lot of things depend on your lifestyle and healthy habits, but still somethings can't be managed, such as your genes. After 50 years of age people often find themselves surrounded by some health problems. Even if they are not, the talks among the age group of over 50 often comes to diseases they are suffering from. Here we have brought some common diseases that start affecting your body after reaching that particular age group. The diseases listed below are not meant for everybody. But if you neglect your health and don't adopt a healthy lifestyle the chances of getting these health problems are quiet high. 50 Years is a mark where your health starts deteriorating due to ageing process and your metabolism and immunity level also starts decreasing. So here is the list of common health problems that you should be aware of if you are about to approach the 50 year of age. Obesity: Obesity has made 73% US Adult population its playground. Obesity is not just a health condition but a disease in itself that increases chances of several other diseases. Chances of being obese increases with age. Hypertension: Increased blood pressure often results from obesity due to increased fat content of body. Hypertension increases the chances of kidney disease, stroke and heart failure. Why does blood pressure increase with age ? Heart Problems: Heart problems often result from obesity and hypertension. Being obese after the age of 50 increases your chances of heart diseases to a great extent. Diabetes: Obesity is mostly the real culprit behind diagnosis of diabetes. Asthma: Chances of getting affected with asthma increases with age. 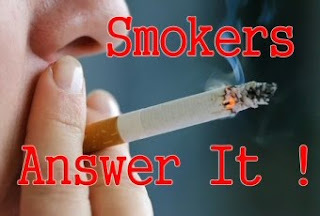 It is condition when our air ways get allergic to certain substances in the environment. It often results in coughing and difficulty in breathing. Cancer: The chances of getting affected by cancer increases with age. There is no fully confirmed reason behind it but some experts believe that degrading immune system with increasing age might have increased its occurrence. Sight Problems: Glaucoma and Cataract is common in elderly people. Certain sight related problems can make the old age even worse. Some of them are Diabetic Retinopathy and age-related macular degeneration (AMB). Gum Disease: If you don't follow proper dental hygiene then you are at risk of gum disease. 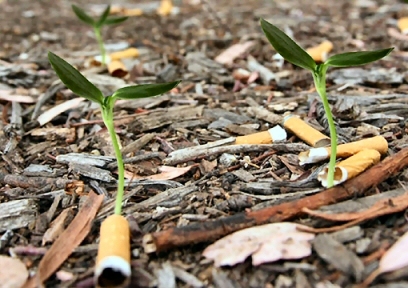 Smokers have 70% more chances of developing it. If you are one of those who brush just once daily and sometimes even forget that one time then you have 33% more chances of developing it. Hair Loss: Some experts say that it happen due to lack of nutrition, some believe Male-Pattern-Baldness is due to DHT and some believe that it is due to genes. But this health condition has give opportunity to whole hair-loss industry to make good money out of baldness. The above list of diseases are not meant for everybody that reach the age limit of 50, but they affect those who are either not serious about their health or who can't take care of their health due to other responsibilities. Our motive behind writing this article is to tell you that health is wealth. If you choose a better lifestyle at an early age then you can protect yourself from a number of common health problems. Even some genetic diseases can't affect you, if you choose to override those genes by your strong will and healthy habits. Virus and Bacteria, both are known as harmful microorganisms that can harm our body. But virus has got a bad reputation compared to bacteria. Bacteria are sometimes good for us as they help in several functions of body, but it is not same for virus. Virus are known for some of the worst diseases that mankind has faced, such as HIV and Ebola. 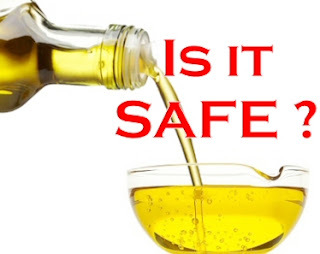 Virus are usually harmful and we will tell you the reason why. Virus is a protein, either DNA or RNA. It is a genetic material which needs some host cell to survive. So you can say that virus is a genetic material with no cell. Cell is known as the smallest living entity. Virus don't have a cell of their own, so they are always in need of a host cell that they can infect to multiply themselves. Virus vary in size and they range from 17 nanometer to 1000 nanometer. One nanometer is 0.000000001 m. This size is so small that you can't see it even with a light microscope. Electron Microscope are necessary to study a virus. Size of virus is so small that they can be compared to atoms. Size of a hydrogen atom is 0.1 nanometer. 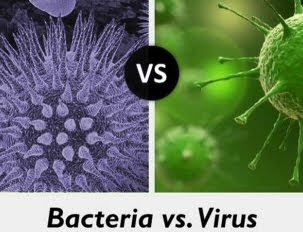 Bacteria are much bigger than virus. They range from 200 to 10000 nanometer. When were Virus discovered ? Existence of virus was suspected near the end of nineteenth century when biologists were unable to find any bacteria responsible for some diseases/infections. They found these microorganisms much smaller than bacteria and they were unable to multiply in a solution as they were extracted out of a living body. Virus is neither dead nor alive ! Viruses can't live on their own, so some biologists consider them as dead. They need a host body made up of living cells to let them survive. When virus enter a cell, then it replicates its proteins and infects other cells, which makes it something living. Virus is something between living and dead. It is a non-living genetic code without any cell and needs a host cell to be something living. Are viruses more harmful than Bacteria ? Yes, in most of the cases. Name of diseases like Ebola and AIDS can take your breath away. But there are some nasty bacteria like Neisseria meningitidis which can make you dead within a day even after taking antibiotics. Some bacteria are equally harmful as viruses. 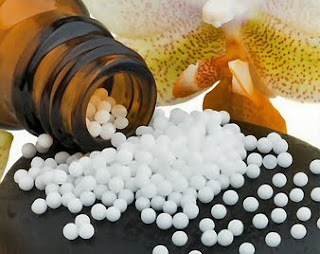 There are lesser medicines to fight viral infections. New generations of resistant bacteria are equally harmful as we don't have any antibiotic to kill them. Why viruses are more dangerous ? It is because of the fact that virus can infect a cell. Both bacteria and human cell are prone to that infection. Virus is not a separate entity, as it infects by entering itself into a cell. Virus is nothing but a genetic code which disrupts the working of a cell and then starts multiplying itself. There are several good bacteria inside the human body, which can also be infected with a virus. To kill a virus we need to kill the infected cell itself which makes it more harmful for any living creature including humans. How do our immune system fights with virus ? Different types of white blood cells (WBC) are main part of our immune system and they can reach any part of body as they reside in the blood. Our body makes millions of them in the bone marrow every day. Macrophages (a type of WBC) destroy any germ that the detect inside the body, but virus infected cells need more advanced defense system. In order to do that more advance WBC known as T and B lymphocytes come into action. B cells make antibodies that bind themselves to virus infected cell in order to tag them and stop them from replicating. T cells act as the guard dog and informs other cells of immune system about the viral infection. Now other cells of our immune system can easily identify these tagged infected cells and kill them to destroy the virus completely. Even when a virus a destroyed some advance T and B cells creates an "acquired immunity" in our body to make our body more safe from the same virus. This acquired immunity can sometimes save our body from the same virus for complete life. Even after all these facts about virus and bacteria, virus should be considered as more harmful. Our body has already got more bacterial cells in it than human cells. So we are more bacterial than human. But virus is something harmful to both bacteria and human cells. Virus can infect even a bacteria. Being taller is a wish of almost every person. Normally we grow till puberty and chances of getting taller after that age are minimal. There are a number of diet supplements in market claiming to grow your height. The advertisements of these diet supplements often show themselves as a magic pill which can make you taller within weeks. Some of them claim themselves as natural ingredients while some claim themselves as hormonal medicines. The truth about these supplements to increase your height is yet to come in this article. The truth is that no supplement can make you grow taller once you have reached puberty and your bones have stopped growing. You should never take these supplements without consulting a doctor. Those supplements that claim to grow you taller after puberty don't have any solid research and test results to prove that. How do we grow taller? If you study the science behind growing taller than you will find that our height is defined by length of our bones. Epiphysis or growth plates are a part of our bones located at their terminal ends. 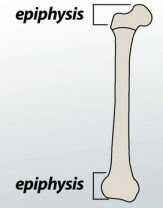 Epiphysis remains soft till puberty and allows long bones to grow further. At the end of puberty phase epiphysis begins to fuse and solidify. 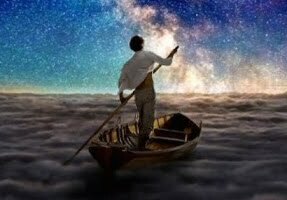 Once it has become solid, no further growth is possible. Under normal circumstances girls reach the end of puberty by 18 years and boys by 20 years of age. Some supplements claim to reverse the solidification of epiphysis to increase your bone size and overall height of a person. But such claims don't have any actual testing behind them. Growing taller is a wish of every person and this desire often develops after we have attained puberty. 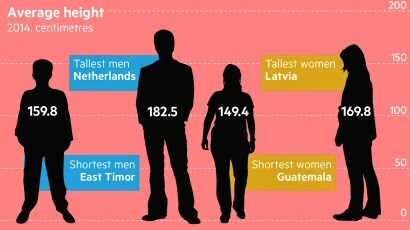 Increasing your height is not possible after reaching that age, but some pharma companies utilize that desire to make big profit. They sell placebo in the name of an effective supplement to increase your height. Placebos may not harm you but some manufactures sell some medicines which can disturb the hormonal balance in your body and you may face some serious side effects. So before taking any such supplement it is better to consult your doctor. FDA has approved a HGH hormone that can be used as a medicine for children experiencing abnormal growth. But this hormone works only till puberty. But some pharma companies sell fake supplements in name of HGH Hormone, despite of knowing the fact that it will not work on adults. Food and Drug Administration neither test the ingredients of health supplements nor it regulates any statement mentioned by health supplements for their advertisements. So it is better to check the ingredients list mentioned on the package of such health supplements and know its actual usage itself. In some of them you may find just some natural multivitamin and mineral supplement to improve your overall health and has nothing to do with your height. You will find a number of online advertisements claiming to grow you taller within 30 to 60 days. So of them publish very inspiring testimonials with photoshop images to prove their claim. So of them even give moneyback guarantee to sell their useless product. Don't fall prey to such things and believe in the fact that your height does not define you. It is your self confidence and your talent that defines you.